Joy was born with cerebral palsy, which mainly affects the lower half of her body. At eight years old, Joy first tried skiing at Winter Park with the NSCD. She trained and raced throughout her teenage years and now thirteen years later, Joy has moved back to Grand County at age 26 to join the NSCD again. 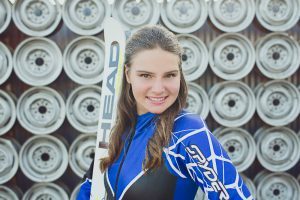 During the summer of 2013, Joy met one of NSCD’s Nordic coaches, Mark Birdseye, who convinced her to try cross-country skiing. Joy starting hitting the gym hard to get ready for the 2014/2015 season and even though it’s a lot of hard work, she loves it! Joy says that it’s definitely given her a better quality of life. Joy has her eyes set on making the U.S. Nordic Team and competing in the 2018 Paralympics. Katrina learned her love of skiing from her mother at a young age, although it wasn’t love at first run! Katrina wasn’t diagnosed with Cerebral Palsy until she was 8 years old. Up until that point, she was struggling with the able-bodied skiers and was frustrated that she wasn’t keeping up. Shortly after Katrina’s diagnosis, her mother happened to be attending a medical seminar where she heard a lecture about the NSCD ski camp. Katrina was hooked on skiing after the first camp she attended and started competitive skiing by the 6th grade. 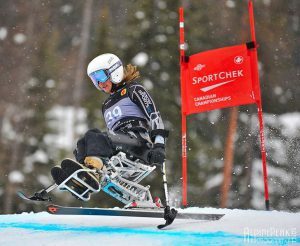 She started seriously training by the time she was in 9th grade with her first adaptive coach, Mau Thompson, at Copper Mountain. This is Katrina’s 4th season at the NSCD Comp Center and gives much kudos to her coaches and teammates. “They are my ski family!” They make training for the 2018 Paralympic Games fun. Katrina is currently enrolled at Mira Costa Community College when she isn’t training. She is studying to become a history teacher. Kyle is 15 years old and lives in Steamboat Springs, CO. When Kyle was two he was diagnosed with Stage 3 High-Risk Neuroblastoma. The tumor wrapped around his spine and caused a spinal cord injury at T10. Kyle defied all the odds and one year after he was paralyzed he was on the slopes learning to bi-ski at age three. Kyle took to the slopes and developed a love of racing after participating in the STARS Development Race Team in 2014 and 2015. Since then he has set a personal goal for himself to go to the Paralympics and represent his county on the podium as well as putting Steamboat on the map for not just developing Olympians, but also Paralympians. Kyle is determined to live life to the fullest and has never let his disability define him. Kyle’s other interests include singing, participating in musicals, swimming, travel and computer programming. Larry is semi-retired and the former CEO of AGO Insurance Software, Inc. Larry has Retinitis Pigmentosa, a condition where night vision capability and peripheral vision deteriorate. Larry learned to ski thirty years ago with his friend Gary. When Larry’s vision started deteriorating over 15 years ago, Gary volunteered to guide Larry so he could continue to ski. 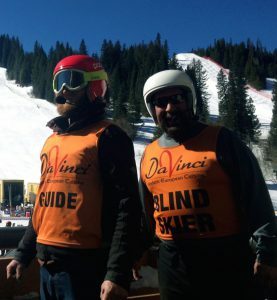 When this duo inquired at the NSCD lesson desk on how to perfect guided skiing, they immediately sent them over to the NSCD Competition Center once they realized the duo’s ability. They trained part-time with the NSCD Competition team for a few years. Larry now trains and competes with Brad Washburn, a former NSCD competition athlete. Spencer was diagnosed with Cerebral Palsy at birth, but his parents did not tell him of his disability until he was in the 4th grade. “I’m still thankful for that.” He never let his disability slow him down before he knew about it, so he saw no reason to let it impact him now. Spencer grew up in a ski town and started skiing at age two. He started ski racing at the age of five along with all of his friends and attended a ski academy through high school. Spencer learned about NSCD Competition Center in 2014 and started training with the NSCD. Spencer attends the University of Colorado Boulder and is training for the 2018 Paralympics. Tom has been skiing at Winter Park for the past 30+ years. After an accident that occurred while mountain biking in 2012, Tom didn’t want to abandon sports. 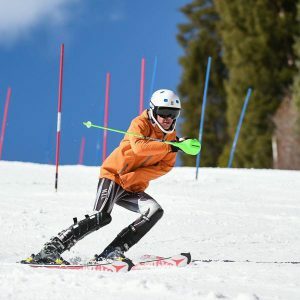 He had always seen and heard about NSCD over his many years at the resort and as soon as he was able, Tom joined up to relearn how to ski and compete. 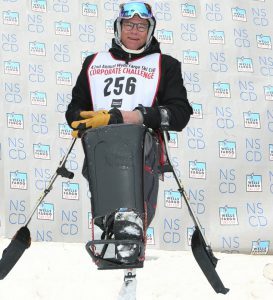 The NSCD gives Tom and all people with disabilities improved access to skiing and a competition program. Tom was a dentist before his accident but had to retire and is now active with a local Fort Collins nonprofit. His ultimate goal is to get on that podium! Paralympic Skier, yogi, motivational speaker and youth mentor lost his right leg below the knee at the age of one. Tyler joined the NSCD Alpine Skiing Team 12 years ago. 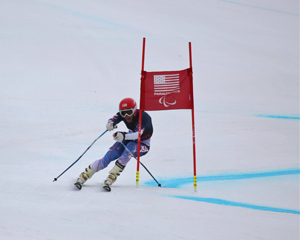 Making the 2014 U.S. Paralympic Team, Tyler competed in the Sochi Winter Paralympic Games in the Giant Slalom Event. He has competed at World Cup and World Championship Events since then. Currently, Tyler is training for the Pyeongchang, South Korea Paralympic Winter Games in 2018. A huge believer in giving back, Tyler especially enjoys promoting living healthy and active lifestyles with youth and individuals with disabilities. He only recently found his passion for yoga and is currently studying to become a teacher so that he will have another avenue to help others. Tyler also works with schools and youth around the country giving motivational speeches and mentoring students. Aaron had just turned 16 when during a downhill mountain bike race in his native New Zealand, he crashed on a jump, went over his handlebars and hit a tree. He hasn’t lost his love of speed and competition so when he came to Winter Park to free ski, he discovered the NSCD Competition Center. He is back at Winter Park to train full time. His goal is to make it to the 2018 Paralympics in Pyeongchang. Aaron has stayed close to his first love, Downhill Mountain biking, and when he isn’t training, he works as a bike technician. 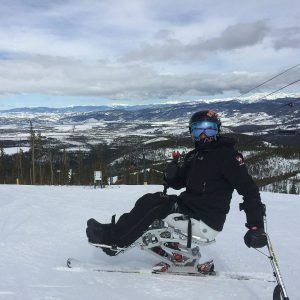 Adam was born in New Zealand and is a member of the New Zealand Disabled Ski Team, training here in Winter Park. Adam is the son of a dairy farmer and also works the dairy farm when he is not training. Adam has been a member of the NSCD Alpine Ski Team for over 14 years. 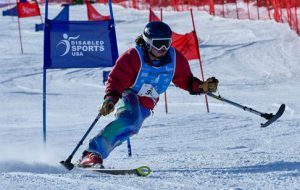 He was the 2007 winner of the Wells Fargo Ski Cup World Disabled Invitational and also received the 2007 Steven J. Ricci Award for his exceptional leadership abilities. Adam is a three-time Paralympian, racing in 2006, 2010, and most recently Sochi, Russia in 2014. In the 2010 Vancouver games, Adam brought home a gold medal from the Slalom event. In 2014, Adam was the World Cup Slalom Globe winner – winner of overall Slalom World Cup circuit. Adam continues to find himself on the podium at almost every race he competes in and is now training for the 2018 games. In September 2009 while racing motor cross in Taupo, Corey overshot the landing of a tabletop and broke his back. Two years later, Corey tried mono-skiing for the first time and fell in love with the new sport. Adam Hall was training with NSCD’s coach, Scott Olson in New Zealand and Scott quickly saw Corey’s natural athletic abilities on the hill. He invited Corey to come train in Winter Park for the 2011-2012 season and he has been back every season since. Corey was named to New Zealand’s Alpine Team and competed in the 2014 Paralympics bring home a silver medal in GS. He also placed 4th in Super Combined and 6th in Super-G. In the 2014-2015 season, Corey placed 3rd overall in the World Champs and received a bronze in GS. 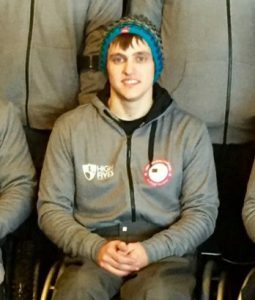 Corey now has his eyes set on the 2018 Paralympics in Pyeongchang, South Korea. Johan has lived with Type I diabetes since he was 11 years old. Coupled with bad nerves/bone structure in his feet, Johan lost his left foot 4 years ago. He has been having enough trouble with his right foot and knows he will soon have to have it amputated as well. Johan started Alpine Racing in 2014 in Europe where he learned about the NSCD program through other Swedish racers and coaches. He came to Colorado, which is much further south, to train full-time last year. “There is much more time to train here. There is more light.” Johan loves to compete because it makes him feel alive again. Back home in Sweden, Johan enjoys playing sled hockey when he isn’t working in the power industry. 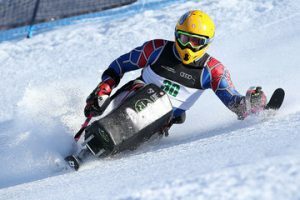 His ultimate goal is to compete in the 2018 Paralympics in Pyeongchang – but also to just have fun. Mike has always loved sports, especially snowboarding. In 2014 Mike was a Level 1 Snowboard Instructor, about to take his Level 2 Certification exams at Fernie, BC. After a huge snowfall, Mike and friends were out free boarding when he saw a roller that looked like a perfect jump. Unfortunately, the roller was hiding the flat cat-track just below. Mike landed flat and hard on his backside breaking his lower back, but he couldn’t stay away from the sport. Once back in Australia, he moved to the mountains, got a job at a ski rental and snowboard shop and taught himself to mono-ski. He met Mark Sawyer, a former NSCD competition athlete, and found out about the NSCD. 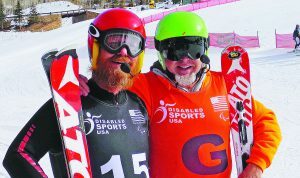 Mark sold his van to have enough money to come to Winter Park to train with the NSCD for the season with the goal of making the 2022 Paralympic Games. “I’m all in!” Mike credits the NSCD coaches and staff with improving his skiing skills like no other, both on and off the runs. Sam was diagnosed with Erbs Palsy at 3 months old. As a result of physical trauma during his birth, Sam has severe nerve damage on his left side. Since Sam has always loved sports, he tried skiing at the age of 12 and excelled. 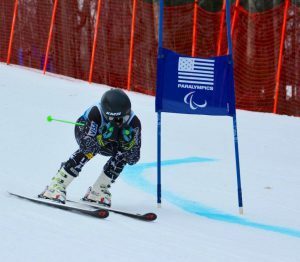 By the start of only his second year skiing, he was moved into the advanced program and took gold among the local racers. Sam was moved into a larger program in New Zealand and once he was winning races in the junior’s program, he was moved into a program to compete with adults. Sam has been training at Winter Park a few weeks a year for the past several years and now trains full time with the NSCD Competition Center. Sam loves to go fast and he credits the NSCD program and skiing with building his confidence. Sam is training hard so he can represent New Zealand at the 2018 Paralympics. Scott has always loved sports and he never let the fall off of a 40-foot tall wall change that. He met Sophie Elwes at a tennis camp and she told him about NSCD. Scott got to come out to Winter Park for the first time in 2014 for a week and then expanded his trip to 3 weeks in 2015. He continues to expand his training at the NSCD. Scott splits his time between the NSCD in Winter Park and the British team in London. Race training and learning the course really helps with his short-term memory issues which are a result of his TBI. Without question, the NSCD Competition Center has made Scott a better skier and the coaching staff has been inspirational. Scott also loves that he has gotten to meet so many other skiers with different disabilities from all over the world. On the 10th of March 2007, whilst training for the upcoming motocross season, Scott was riding at a local track in Somerset, U.K., when he made a mistake going over a jump which shattered his T5 vertebrae, broke several ribs, collarbone and sustained other minor injuries. As a result, Scott was paralyzed from the chest down and spent the next 6 months in a spinal rehab unit and the next 2-3 years struggling to use crutches. He refused anything that had to do with a wheelchair or even getting to know anyone else in a wheelchair. Scott credits the charity organization called ‘The Backup Trust’ and a trip to Winter Park, where he learned to mono-ski, with changing his view on disabilities. 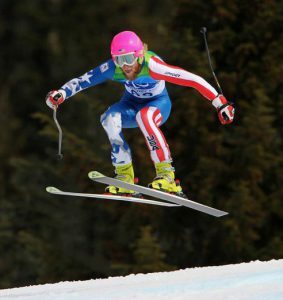 In 2011 Scott returned to Winter Park to train for alpine ski racing for the month of January. He loved racing but had to start working full time as an IT business analyst. He always wanted to train full time but felt he couldn’t afford to. Sophie Elwes, another NSCD athlete, motivated Scott to quit and pursue his dream. “Now is the time to go for it!” Scott has step by step goals: first is to really get comfortable with gates and learn how to attack the course in GS, slalom and Super G. His ultimate goal is to make the 2022 Paralympic Team. Alana is a three-sport phenomenon in wheelchair basketball, alpine skiing and now para-canoe. She grew up in Farmington, N.M., and was an avid snowboarder throughout her youth. In 2002, however, Nichols landed back-first on a rock while attempting a backflip on her snowboard. The injury caused her to be paralyzed from the waist down. Nichols didn’t let her athletic career stop there, though, as she began playing wheelchair basketball just two years later. Her talent in the sport ultimately took her to the Beijing 2008 Paralympic Games, where she and Team USA earned gold. 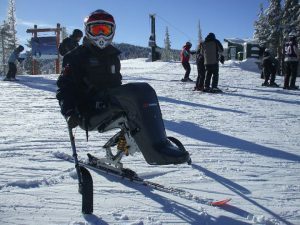 Shortly after the Beijing Games, Nichols moved to Colorado and picked up adaptive alpine skiing through the NSCD in Winter Park. 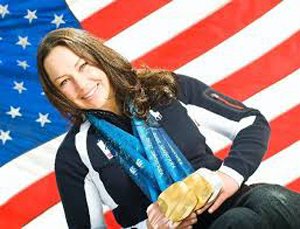 At the Vancouver 2010 Winter Paralympic Games, Nichols earned two gold medals, one silver and one bronze in alpine skiing events, becoming the first female athlete in history to win gold medals in both the summer and winter Paralympic Games. In Sochi, Alana brought home a silver medal from the downhill event. 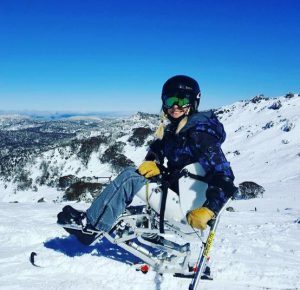 Alana focused on para-canoe and will now set her sights on winning enough points to be named to the 2017-18 U.S. Paralympics Alpine National Team. Brad was born without a fibula and when he was 11 months old his leg was amputated below his knee. Brad, originally from Littleton, CO learned to ski with the NSCD and eventually joined the Alpine Ski Team. Brad was the top junior in 2003 at the U.S. championships. 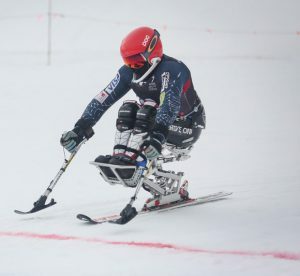 Brad’s training started to really pay off in 2006 when he was named to the U.S. Disabled Paralympics team and traveled to Torino, Italy to compete. In 2007 he was named to the U.S. Disabled Team. For his first full year on the World Cup circuit, Brad finished with several top 10 finishes. At the 2007 U.S. Championships, he was the Slalom Champion. Three years ago at a major fundraiser for the U.S. Disabled Team Brad raised money by auctioning his long red hair to be shaved off. 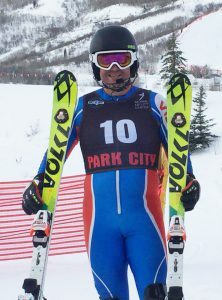 After competing in the 2010 Paralympics in Vancouver, Brad decided to take a break from full-time race training and is currently a full-time guide for ski racer Larry Martin. When he was 12 years old, Bambur and his family fled Bosnia because of war. His father located a home in the U.S. for him through a high school foreign exchange program. He excelled in the U.S. and joined multiple sports teams before finding his passion in team handball. In 2000, he played for the U.S. National Handball Team while enrolled as a student at Middle Georgia College. One night after training, Bambur fell asleep at the wheel, crashing his car and sustaining a spinal cord injury which made him a paraplegic. He struggled with depression after his injury, but a visit from 1992 Paralympic gold medalist Bert Burns opened his eyes. Bambur tried wheelchair tennis and basketball, along with waterskiing before he picked up skiing. He competed at the Paralympic Winter Games Vancouver 2010 for Serbia, to become the first ever winter Paralympian in Serbian history. 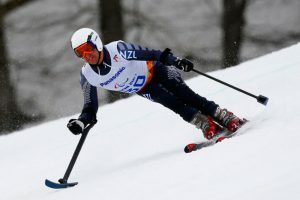 In 2010 he was granted his U.S. citizenship, and he was named a member of the U.S. Paralympics Alpine Skiing National Team beginning in 2012. He competed at the 2014 Winter Paralympic Games in Sochi for Team USA. Josh was an aspiring gymnast when at age 12 he missed a landing and fractured his lower spine. Since the injury was so localized, Josh transferred his love of adrenaline from gymnastics to skiing within a few short months. He first came out to Winter Park about 10 years ago after hearing about the NSCD program through Scott Olson, but Josh wasn’t quite ready to make the leap. He finished high school, where he played on the wheelchair basketball team and started a career in welding after he graduated. It took his fiancée, Danielle, to make the final push. “It was now or never” to leave their careers and to give competitive skiing his full focus. Both Josh and Danielle are so happy about their decision. Mark was born with a femoral deformity, and at the age of two, his lower leg was amputated and he was fit for a prosthesis. As Mark grew, so did his desire to compete in sports, encouraged by his mother’s observation that “You are only as disabled as you want to be.” The outdoors was Mark’s playground for baseball, football, cycling, rock climbing, crewing, and finally, skiing. 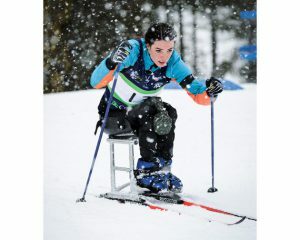 Mark’s friend and teammate, Alana Nichols, introduced him to adaptive skiing in 2010. Mark put on his first ski at Winter Park in December of 2010, and found a new passion…going FAST! 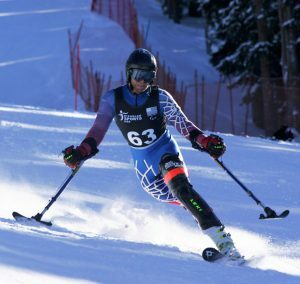 He started training full time with the NSCD and soon thereafter began to compete in earnest, placing 9th in Downhill at the U.S. Nationals in Alyeska, Alaska. He has since skied in many competitions and continues to progress his racing career, shaving seconds off his speed with every race. Mark resides in Big Sky, Montana where he is enjoying the outdoor lifestyle, extreme skiing and bashing gates in Big Sky. 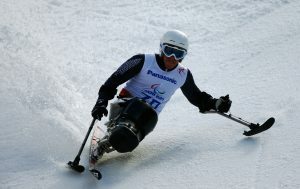 He is actively training with a focus on the 2018 Winter Paralympics in Korea. When Randy was 12 years old, his eyesight started failing him. He was diagnosed with Stargardt Syndrome which is a lifelong degenerative disease of the optic nerve. Within one year Randy lost the majority of his eyesight. Since Randy has been skiing since the age of 10, before his eyesight was compromised, he continued on. “It is the perfect sport for this disease because the contrast is so good; white versus all other colors.” Randy started skiing at Hawks Nest Ski/Golf Resort where he became the Mountain Manager. When the ski area closed, he moved over to Sugar Mountain where he was on the Ski Patrol. Randy has always loved competing and when he came out to Winter Park to compete in the Nastar Championships 4 years ago (where he won 8th overall), he discovered NSCD. His goal is to make the U.S. Paralympic Team. Todd grew up skiing and after college became a ski patroller at Deer Valley. As Utah geared up for the 2002 Winter Olympics, Todd was hired as an engineer to plan and design the infrastructure that had to be added. But as the Olympics ended, so did the work and his company moved him to Phoenix where he became the City of Scottsdale’s Principle Traffic Engineer. In 2014, Todd started to lose his eyesight. He had to take early medical retirement in October of 2016. Todd gives the NSCD Competition Center credit for giving him a new identity. For a couple of decades, he was an engineer – now he is a Paralympic racer. There is life after full-time employment! Todd is training to go to the Paralympics by 2022. He only started racing last year and he and his guide won 3 silver medals at this year’s Huntsman Cup in Park City. They won silver in two GS and one slalom event.